Bonneville Bobber-derived cruiser draws styling inspiration from Triumphs of the 1960s. 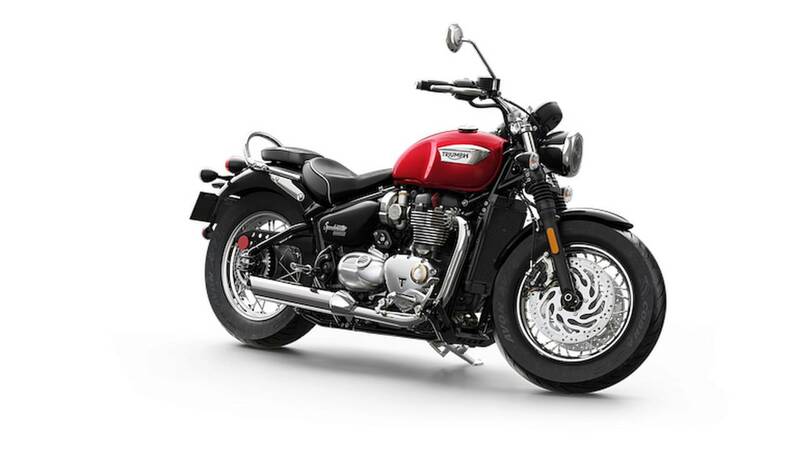 Triumph Motorcycles has pulled the cover off a completely overhauled Bonneville Speedmaster, which the British company says delivers 25 percent more power and a whopping 42 percent more torque than previous Speedmaster and America models. Drawing its styling inspiration from Triumphs of the 1960s and dripping with attention-to-detail components, the new Speedmaster shares the same engine and chassis as the incredibly successful Bonneville Bobber released last year (Triumph says the Bobber has been the most successful model in its 115-year history). In other words, it is crazy gorgeous and will be a hoot to ride. 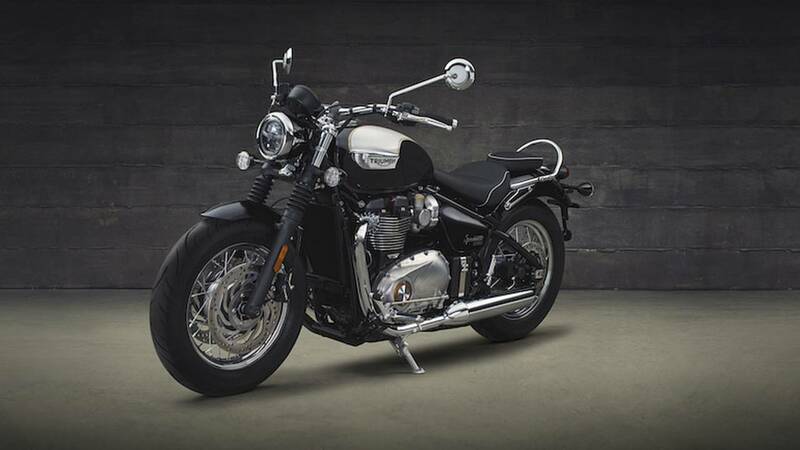 Interestingly, Triumph are eager to play up the Speedmaster's place within the Bonneville family, describing the mid-size cruiser as "a Bonneville with more classic British custom laid back style and an even higher level of specification." In fact, you'll not find the word "cruiser" anywhere in Triumph's official press materials. The message seems to be: this is not a wannabe Harley; the Speedmaster is a bike with its own distinctive, authentic heritage. 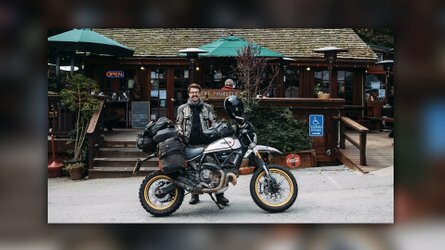 Having seen the motorcycle in person when it was unveiled Tuesday at Triumph's Hinckley, England, factory I'd say the brand has indeed managed to deliver a unique and beautiful machine. Of course, I would say that; I have long been a fan of the Speedmaster. A number of years ago, when I was returning to biking after some time away, I kept a picture of a Speedmaster taped to my wall to serve as inspiration. This Speedmaster, however, is so much better than the one I used to dream about. 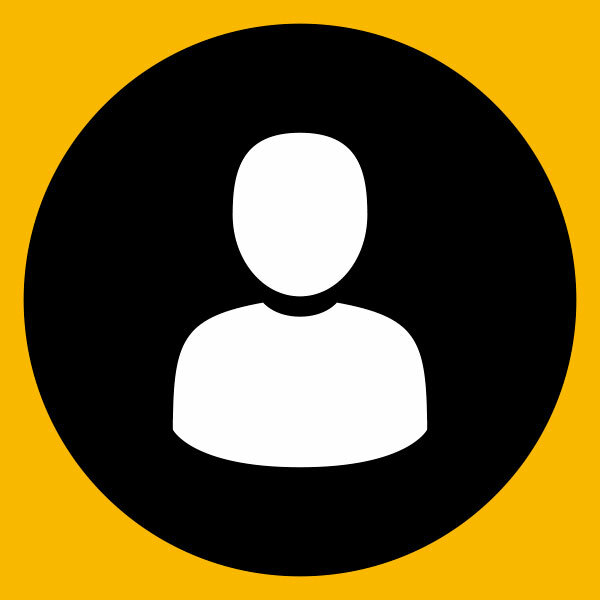 It is better looking and better performing. 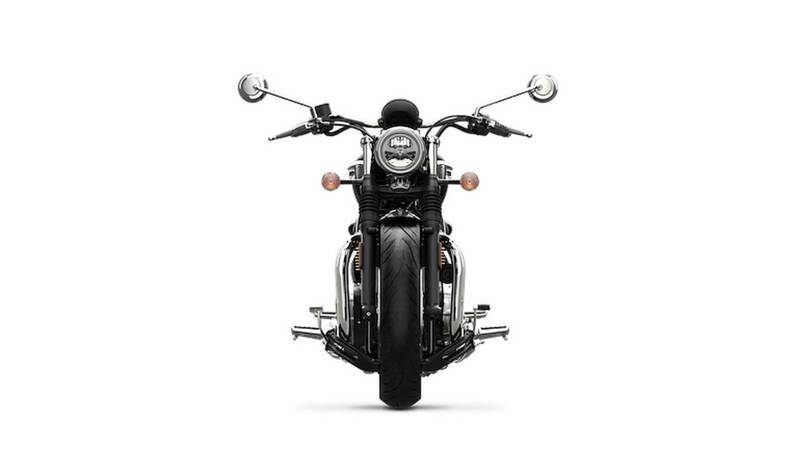 With the Bobber as its base, the Speedmaster comes with all the category-leading features of the bike released a year ago: ABS, traction control, riding modes (Rain and Road), ride-by-wire, and torque-assist clutch all come standard. And unlike the Bobber, cruise control is also a standard feature – the controls for which are found on the left grip (which is where cruise control buttons should be located, by God). Additionally, the Speedmaster differentiates from the standard Bobber with the presence of a dual front discs, gripped by Brembo brakes. 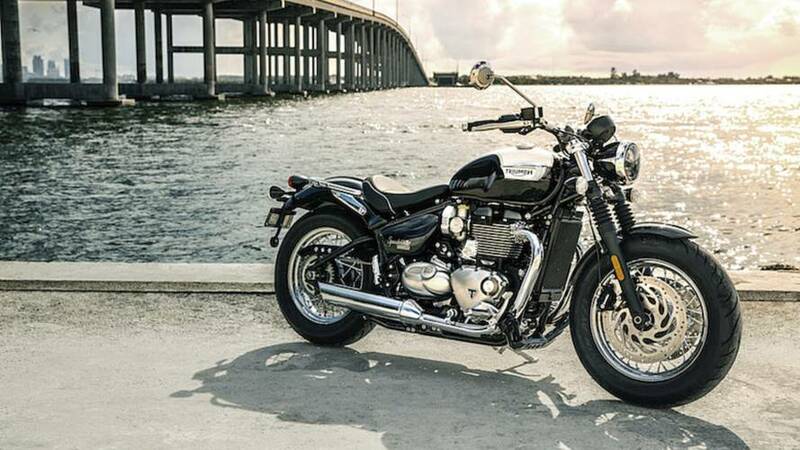 Opposing that whoa will be the go of the Speedmaster's 1200cc "High Torque" parallel twin, which promises 106 Nm of torque at 4000 rpm – up to 10 percent more than the current generation Bonneville T120, Triumph says – and a peak power output of 77 hp (at 6100 rpm). Surprising fuel economy and a 12-liter (3.1 US gallons) tank, which is larger than that found on the Bobber, means you'll be able to enjoy the engine's thrills for longer between fill-ups. 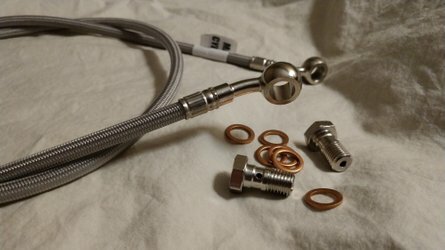 In its press materials Triumph offers a great deal of prose about the quality of the Speedmaster's exhaust note, describing it as "raw" – which is a silly word to be used by a company that has always taken pride in the quality of its engineering. I'd personally describe it as "menacing." The Speedmaster doesn't try to imitate the growl of a larger big V-twin, but instead sounds like something that wants to race, something that wants to pick a fight. 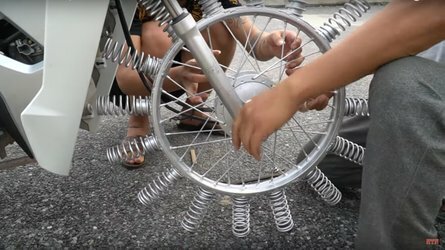 I can't wait to ride it. Meanwhile, thanks to a not inconsiderable list of accessories – as well as a number of "inspiration kits" – the new Speedmaster will fill the space previously occupied by both the Speedmaster and America models. Among the 130 branded accessories at which you can throw money: Vance and Hines exhausts, swing arm bags and panniers, highway pegs, engine bars, different seats, passenger backrest, and an adjustable touring screen. If you don't want to spend a lot of moola to get a different look, the seat and grab rail are easily removed, giving the bike a more stylish profile. 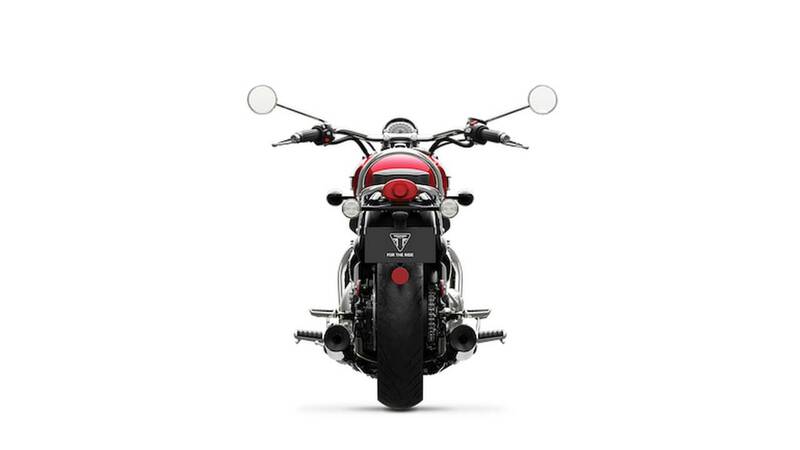 And it's in aesthetics where the new Triumph really... uh... triumphs. 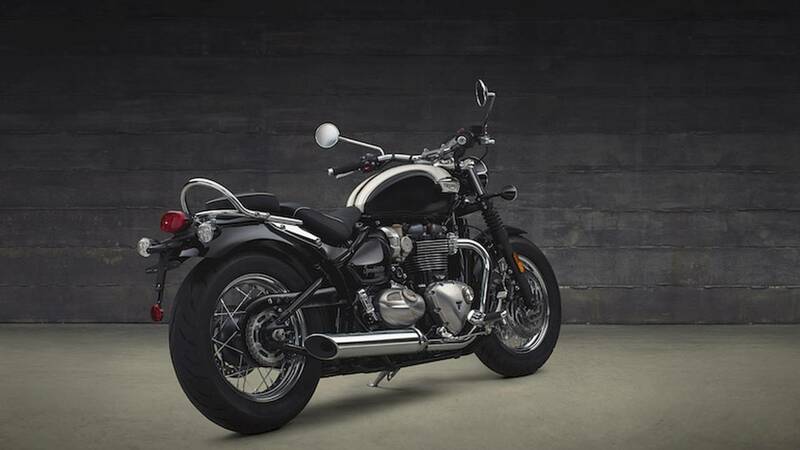 A sculpted Bonneville tank, machined engine fins, carb-styled twin throttle bodies, a "clean line" header pipe run, finned exhaust clamps and rubber fork gaiters all serve as stand-out features. Look at the bike from any angle and it's clear that someone – probably Triumph Chief Engineer Stuart Wood – has put a whole lot of care and love into it. 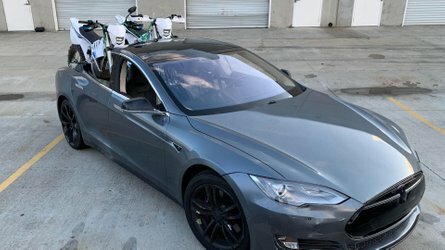 I'd even go so far as to say its fit and finish excels beyond the Harley-Davidson Sportster 1200 Custom and Indian Scout against which it will almost certainly be compared. You get full LED lighting throughout (headlight, tail light, indicators and number plate light), and like all modern Triumphs the service interval is 10,000 miles. The Speedmaster is available in three color options: Jet Black, Cranberry Red, and Fusion White and Phantom Black with a twin hand painted coach line. 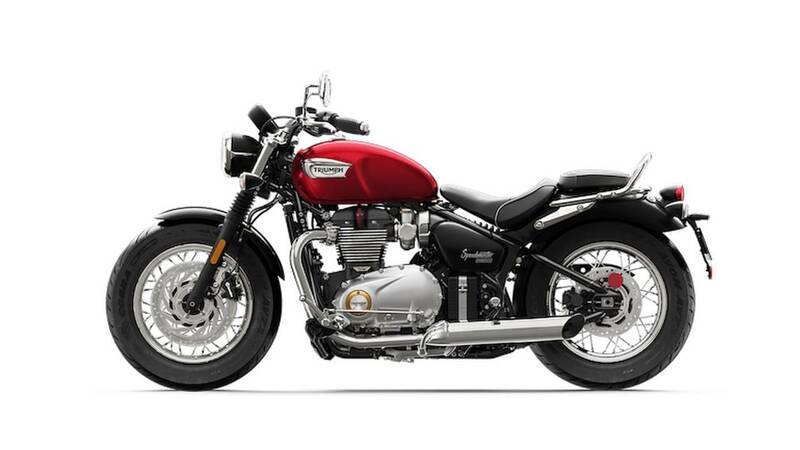 Triumph's head honchos swoon over the latter, but for me it's gotta be red – the same color as the Speedmaster in the picture that used to hang on my wall.